Tokyo, February 21, 2014 - Fuji Heavy Industries Ltd. (FHI), the maker of Subaru automobiles, today announced that it will exhibit the “SUBARU VIZIV 2 CONCEPT” as a world premiere at the 84th Geneva International Motor Show to be held in Switzerland next month (Press day: March 4 and 5; Open to the public from March 6 through 16, 2014). In addition, FHI will exhibit the all-new Subaru WRX STI and the new racing car developed from the new WRX STI for 24 Hours Nürburgring endurance race in 2014, both making their European show debut. The Subaru press conference is scheduled at 10:45am on March 4th. The special site opens today at 11:00 (Japan time) on the Subaru Global Site. 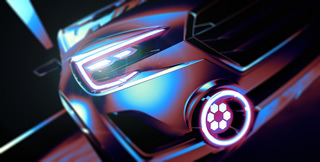 The site will feature information updates relating to the Geneva International Motor Show including the images of “SUBARU VIZIV 2 CONCEPT” as well as Subaru’s press conference. The all-new WRX STI is the top grade model of the WRX series. The product concept common to the whole WRX series, "Pure Power in Your Control", has been heightened in every aspect. In developing the all-new WRX STI, Subaru tested it under various driving conditions in several countries to perfect its driveability. The performances of the body, chassis and other vehicle areas have all been optimized and unified, thus advancing the overall vehicle capacity. It is the pinnacle of Subaru AWD sport performance which allows the driver to maneuver high power freely and at will. Subaru will participate in the Nürburgring 24-Hour Race (from June 19 to 22 in Germany) for its seventh consecutive year. For this project, FHI and Subaru Tecnica International Inc. (STI)* reinforced their collaboration to create a novel and more competitive racing car based on the all-new WRX STI. The Nürburgring 24-Hour Race demands performance vehicles with both speed and stability. By aiming for victory in its class for the third time following its last win in 2012, Subaru will prove its engineering excellence that realizes the brand value "Enjoyment and Peace of Mind".